History: Lampris regius, or better known by its common name, the moonfish, is better remembered by the name opah; this is what Hawaiians, restaurants, and grocers call it. They are rarely sought out by fishermen. Many times, they are caught accidentally by tuna longline fisheries. 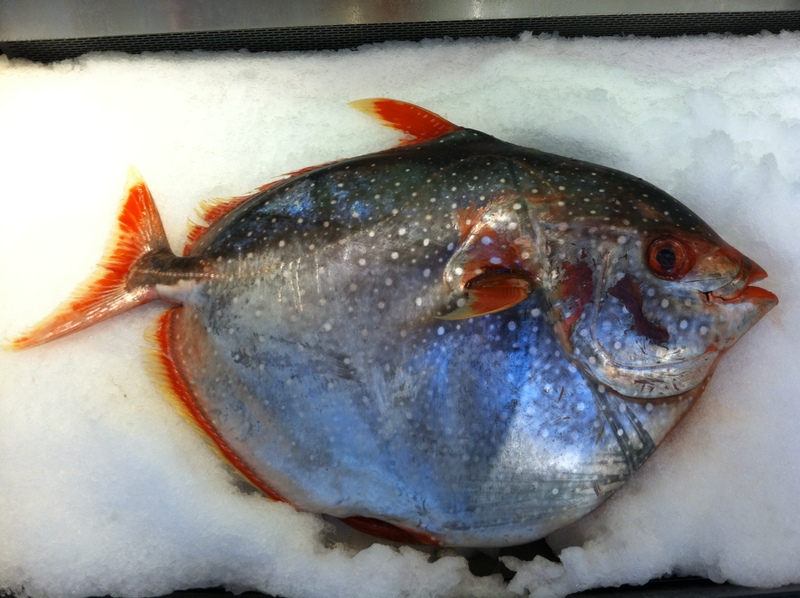 Most Opah are caught in Hawaiian waters and this fish is very popular there. Normal fish have 65% yield, which means 65% of the weight is edible. 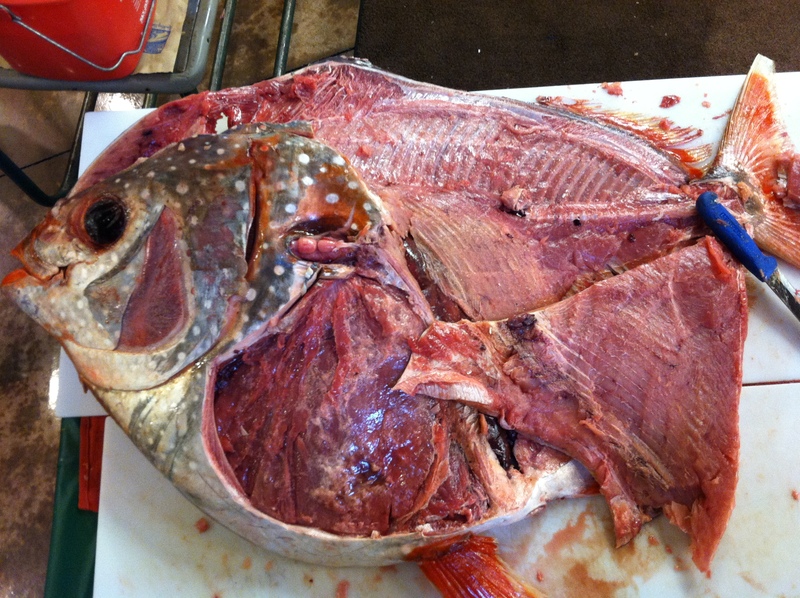 Atypical of that, the Opah only has 35% yield and the other 65% of dead weight comes from its bones and thick skin. The underside of the Opah is very thick bone which protects it from predators. The average weight was last listed by the Hawaiian longline fishery at 89lbs back in 2006, but this fish can reach upwards of 120lbs. which is closely related to swordfish. Shown here is the “cheek” close up. Typically, cheek is literally referred to as the place near the fish’s jaw or below the eye. 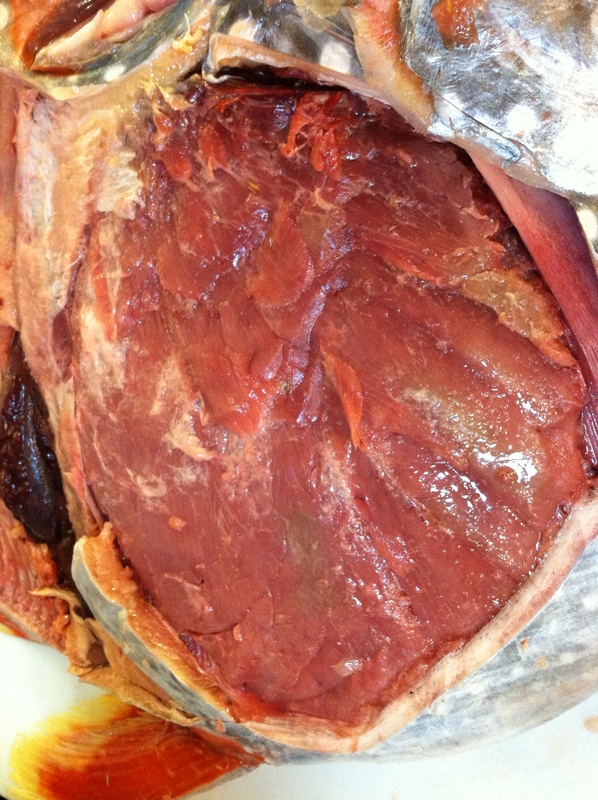 In this case, Hawaiians have given the huge area of meat underneath the pectoral fin, the name of “cheek.” Not only does the color resemble beef, but the texture is similar to skirt steak sans fat. I ate the cheek, and surprisingly, the meats texture was relatively similar to beef in the sense that it was more chewy, harder, but still much easier to separate than beef itself through chewing. The belly did not taste like chicken; however it did have less “fishyness.” Texture was less dry than the top loin exhibited below. It is very important that you only consume just one serving a month, the equivalent of half a pound. The reason behind this is the high mercury levels that exist in this fish; this warning is issued by the Environmental Defense Fund. This is a third of a pound and is actually the top loin. 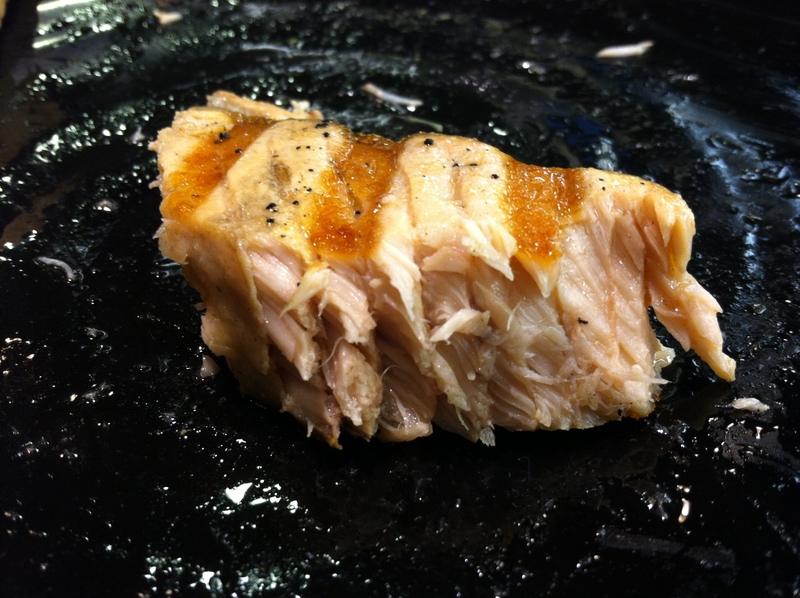 The texture is less dry than that of tuna, but drier than that of mahi-mahi. Notice that each section of meat seen in the cross section below is about ⅔ of a centimeter in length. This makes for a more robust flavor when chewing as opposed to eating just the cheek or the fattier sections of the opah. 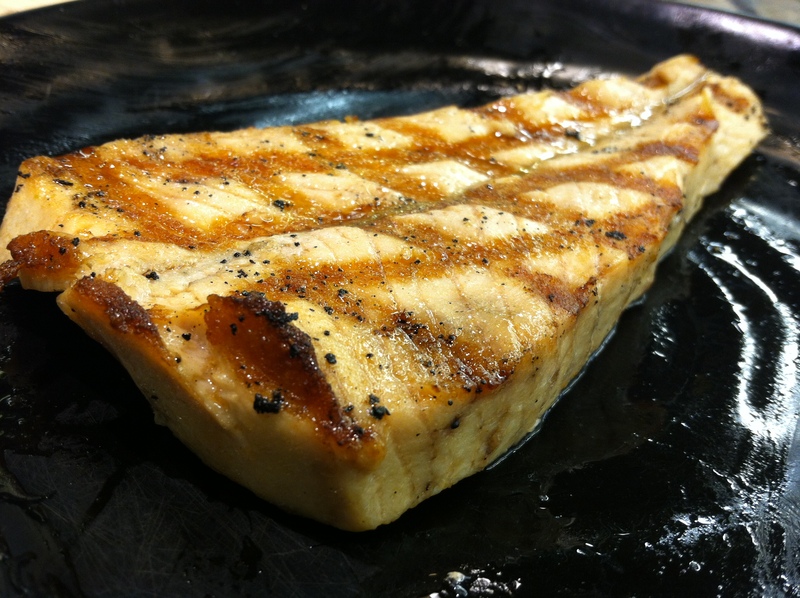 How do you cook an opah? I recommend that you broil it and finish it on the grill, as seen above. This allows you to consume and experience the fish fully without any seasoning. If you are cooking the cheek though, I’d stick to just broiling it so that the omega 3’s do not leak away. Have you had opah before? What is your favorite way of preparation? 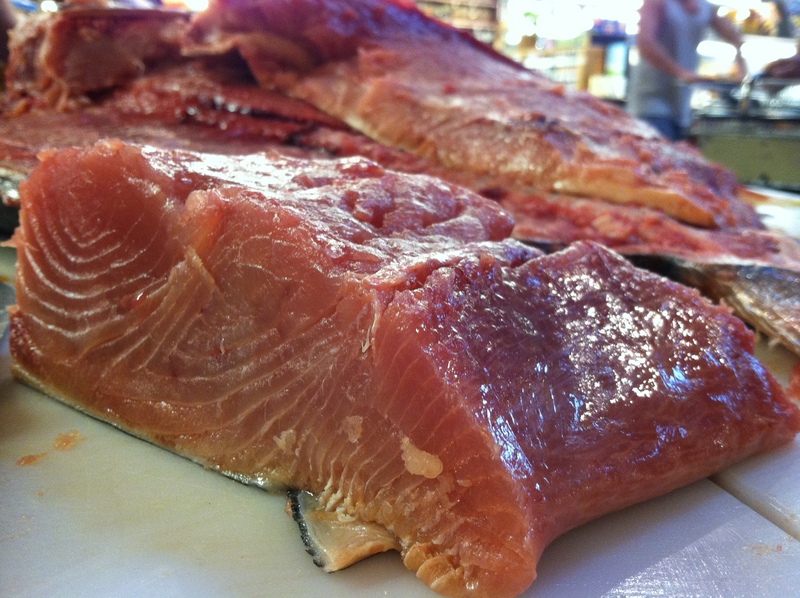 You can purchase Opah at select WholeFoods, such as the Tustin Wholefoods.